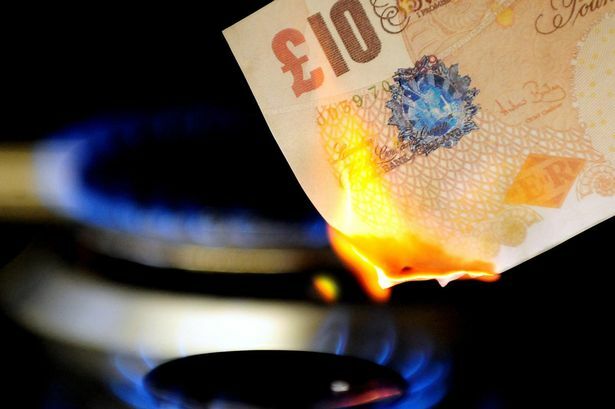 Why it’s more important than ever for retailers to save on energy costs - Moneyhome.co.uk - The Best Moneysaving Blog ever! From rising costs of imported goods in a post-Brexit landscape, to the surge in smartphone and online shopping, many high-street retailers in Britain are struggling to stay afloat. As profit margins become thinner, it is more important than ever for retailers to make savings where possible. Despite the need for retailers to cut back on expenses and save money, many British retailers are wasting millions of pounds on energy bills. This is the finding of an Energy Retail Whitepaper, which advises that for retailers to remain competitive in the current precarious market, they need to make savings on their energy costs. The Whitepaper notes that a 20% reduction in energy bills is representative of a 5% increase in bottom line sales. Given the cutthroat climate retailers are currently operating in and with energy costs being tipped to rise by 5% in 2017, it is imperative venders look at ways to make savings on this unavoidable business expense. Business Save, a leading UK energy consultant, looks at how retailers can save on what is likely to be one of their biggest overheads, energy bills. A well-lit store is vital in a retail environment. Harsh, fluorescent lighting is energy-zapping. LED light bulbs use a fraction of energy compared to traditional lightbulbs, and by simply switching to more efficient types of lighting can help retailers make significant energy savings. Analysis by The Telegraph found that domestic energy users can save as much as £240 a year by switching to energy-efficient bulbs, a sum which can be amplified within a retail setting, which relies more heavily on lighting. Installing lighting sensors in certain areas in a store, such as staffrooms and toilets, in which lighting only comes on when someone is in the room, can also prove an effective way to cut down on electricity. Are doors, windows and entrances letting precious heat escape? By leaving doors and entrances open, or failing to have adequately sealed doors, windows and entrances, results in heat pouring out of shops and stores, not only proving detrimental to retailers’ energy bills but also to the environment. In fact, so relevant is the leaving open of doors, the campaign groups such as Close the Door are set up, designed to put pressure on shoppers and retailers to keep doors shut. As well as subtly reminding customers to shut the door when they enter and leave the shop, retailers may want to think about replacing ill-fitted doors and windows with more efficient alternatives, such as automatic doors, which allow less heat to escape. In order to really get to the crux of energy consumption and where savings can be made, retailers may be wise to carry out an energy audit on their business. A report compiled by McKinsey & Company found that when retailers in the US carried out an energy audit, it helped them reduce energy consumption by an average 20 – 30%. Energy audits analyse every aspect of a business’s energy usage and use the data to locate areas in which savings could be made. Being scarce on time, it’s easy for businesses to plod along with the same energy supplier for years. Making the simple move of switching supplier to a less expensive tariff that caters for a retailer’s specific energy demands, can result in a retailer making significant savings on their energy bills. If you are a retailer struggling in the rather hostile and extremely competitive retail environment, making the effort to make savings on energy consumption, could make the difference between boom or bust. This blog post was written by Business Save, specialists in assisting companies in finding the best energy deals and saving money on this inescapable business expense.